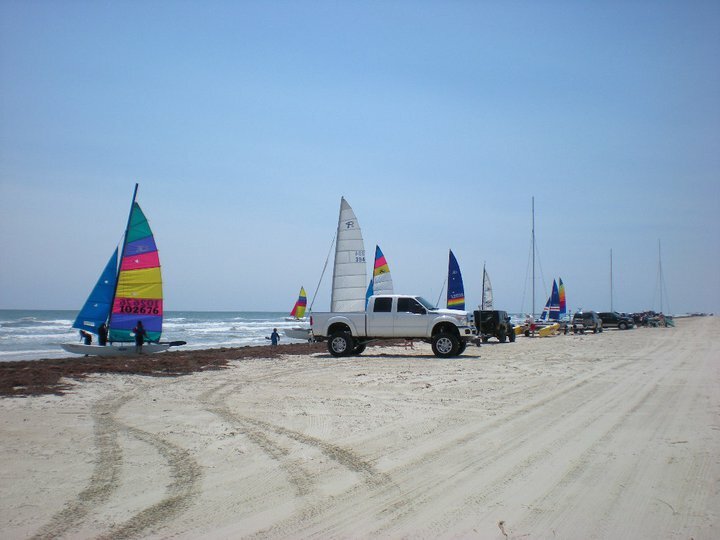 Thank you for coming to the Surfside Sailing launch party! Very special thanks goes out to everyone who donated their food, drinks & time to show our guest how much fun cat sailing can be! To our guest I hope you all had a chance to ride on one of the catamarans and meet some of the great people in our group. If you want to keep up with future events such as social sails please subscribe to our website www.hobiefleet33.com those of you who would like to come back out and crew with us please click the Facebook logo on our webpage this is a great place to chat with our members. The pictures from this weekend have been uploaded to our Facebook page for you to enjoy. We were very happy with the turn out we had 20+ boats & 40+ people show up for a great day of social sailing! I truly hope we introduced this great sport to some new people and they went to work today and bragged about the great time we all had to their coworkers. Catamaran sailing offers a way to enjoy the weekend with your family and the company of some great people for a relatively low cost. We hope to see you again soon! ~ by Floyd on April 18, 2011. I would like to thank the Hobiefleet33 for the event Saturday. It was my first time out on a cat and I loved it. Great time and thanks again Franklin. Steven glad you enjoyed it! If you want to come back out keep an eye on our facebook page.